How I wish I had known as a teenager what I know now! At 19 I worked full-time as a sportswriter for a daily newspaper. I loved my job, but I was ambitious and wanted to see if I could sell a story to the Features editor. I worked hard on one, on my own time, and submitted it with photos. The editor’s response crushed me. Humiliated, I forced myself to approach his desk. I staggered back to my boss, the Sports Editor, and told her what had happened. “Did you have any misgivings about the piece?” she said. I mentioned several things I could have done better. I rewrote the piece that night and resubmitted it the next day. The Features editor immediately accepted it. My mistake? I had submitted a piece of writing that was less than my best, and I knew it. I vowed to never do that again. And I added one of my own to make it 40. I’d tell myself that what grabs readers isn’t beautiful writing, a rip-roaring plot, or surface drama; what grabs readers is what gives those things their meaning and power: the story itself. And so first you have to create the story, which doesn’t start on page one, but long before it. Because the story is not about an external plot-level change. The story is about an internal change — a change that the protagonist enters the story already needing to make. Thus the protagonist walks onto the first page with a long standing driving desire — an agenda — that she hasn’t been able to achieve because an equally long standing misbelief (about human nature) stands in her way. Establish a reading habit that matches roughly what you hope to write and publish. Make it as important as anything else you schedule in your day, and never allow busyness to crowd out the time you devote to consuming other good works. It’s fine not to finish books or to abandon authors you don’t like, but never stop consuming the genre you want become known in. It raises your writerly IQ and ultimately lays the foundation for better literary citizenship and networking with other authors, editors, and agents. A non-reader is soon outed and left behind in this business. Start your email list as soon as you can. I spent a couple of years not doing an email list and I can’t help but wonder how many thousands of readers I lost the ability to reach out to because I didn’t start it sooner. There is no greater book marketing kickstart than sending a new book launch email to your already raving fans. They’ll buy it, and even leave those crucial reviews. So, if you decide you’re going to write more than one book, setting up your email list as soon as possible is key to growing your success with each book you write. Getting published is really exciting, but it’s not the point of writing. The actual writing is what it’s all about — the daily joy in sitting down to a blank page and crafting something beautiful or funny or heartwrenching or even just blah (depending on the day). While getting a book (and articles, and stories) published is a great ego boost, the real meaning in writing comes from the words flowing out of your fingertips — and the sense of achievement in a finished project. 1) Write a lot. The more you write, the more you’ll tune in to your unique voice and the better you’ll get. 2) Get critiqued occasionally. You should never pay any attention to what your mother says about your writing, or what anyone who loves you says about your writing, because all those people are liars. You should pay attention only to people who know what good writing is and who also know how to critique bad writing. Many who know good writing don’t have any idea how to critique bad writing and will not be able to help you. Also be aware that many people who know how to critique bad writing would not recognize good writing if it stabbed them in the eye. This is tragic, but deal with it. You are looking for somebody who has both of these skills, and those people are rare. You need to be told when your writing is bad and why it’s bad, because when you start writing, your work will be awful and you will imagine it’s brilliant. You also need to be told when your writing is brilliant, because by the time your writing is brilliant, you will have been told so many times that your writing is bad that you’ll imagine you are the worst writer who ever lived. It’s just a fact that all bad writers think they are amazing and all great writers think they are terrible. And that’s why you need to be critiqued occasionally. Don’t do this every day. It hurts too much. A little critique goes a long way. 3) Study the craft of writing in books, lectures, or wherever else you can learn it. You most especially need to do this after getting critiqued. You can’t figure it out on your own. Find a book that explains in clear words how to do right what you are doing wrong. When you finish the book, you will again believe in yourself enough to go back to step 1 and write a bunch more. I’d say start publishing your work online and showing it to people even if it’s not ready or perfect. I spent years writing short stories and trying to get my sentences just right. I rarely showed them to anyone and I didn’t get the feedback I needed to improve as a writer. Instead, I stuffed my drafts in a drawer. It was only after I started writing online that I discovered I’m better at — and prefer — writing non-fiction. If I’d learnt that lesson ten years ago, I would have saved myself a lot of time. Still, sometimes you have to make mistakes to fall forward. There’s no rush to get published. The more time you spend writing, reading, and learning to be a better writer, the better things will go for you. Don’t try to hurry it along. I’d tell myself that the best writing serves the reader — not the writer. Our job as writers is to make more sense of the world, to paraphrase Anne Lamott and E.B. White and a million other writers. So even when you’re writing about your own life and your own experiences from your own point of view, you’re nonetheless exposing something real and true and universal. So make each sentence (and every word in that sentence) earn its keep: Is this sentence indulgent? Or does it help the reader? Does it explain, elucidate, or elevate the truth? Get out of your head and into your reader’s. These words of wisdom are not my own but they have become a mantra for me. Creative success requires both a big vision and small, deliberate steps. Audacious goals aren’t reached without persistent action. A writer is someone who writes, and the only path to improving your craft and finding both satisfaction and success in your writing is to keep doing it. Try to write at the same time each day, and don’t worry too much about whether what your writing is good or not — just keep writing. They are the greatest support for your writing and your creativity. With them, you will write with greater ease, break through blocks more easily, and have the stamina to write consistently and from your heart. Dive in and be scared later. Simply take action and don’t overthink where this might end up. Think of something scarier than writing your piece, and it’ll be a breeze by comparison. Instead of feeling scared to take action, think of everything you do as a writer like it’s a science experiment. “I’ll write this and send it off and see what happens, mwahaha.” Then, learn from that and do better. I would say to myself: “You are way too cocky. You think you know how to write a novel because you’ve read thousands of them. You need to stop trying to publish your terrible manuscript and spend time learning the craft. There is actually a thing called structure, and you don’t know it. Stop being in such a rush. Slow down and work on your craft. I wanted the agent and the deal to happen immediately. Yesterday. It will happen for you if you take the time to master your craft. Want to write a book but don’t know where to start? Click here to download my free guide: How to Write a Book: Everything You Need to Know in 20 Steps. Don’t use your introversion as an excuse. Yes, you may prefer to hide out in your creative cave, dreading learning to network and talk to people you don’t know. If you get out and starting practicing now, then your path will be that much smoother. Start by joining the writers groups and getting to know others in the community. It may be terrifying at first but it will get easier, and you’ll be surprised at how much fun you’ll have, the friends you’ll make. I would tell my younger self to listen to the wise elders who told me that I could make a career in the writing world. I spent so long doubting myself, and making excuses, and waiting for someone to roll out a red carpet, and circling around the actual writing by doing jobs that were “writing adjacent.” All that delay and doubt cost me. 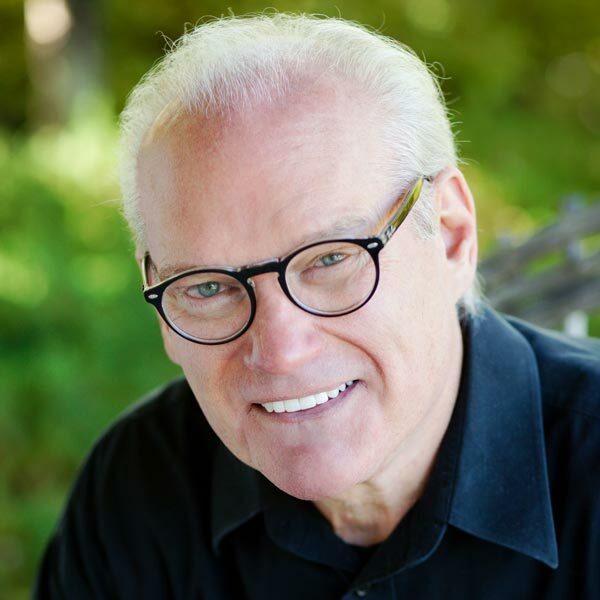 I recently launched a book coaching company, and we inspire writers to believe they can actually do it, and help them take the steps toward making their dreams a reality. I would tell myself that my writing career isn’t about me. True success can never be about the writer. Fulfilling the calling is about reaching readers with an excellent story that entertains, inspires, and encourages. Writing is about putting reader needs first, which means constantly educating myself in the craft, social media, and the publishing industry. The experts don’t always know best. You can build a readership of people who like to read in different genres. You have to stop writing sometimes to have a life that will fuel your writing. Other avocations can scratch a different creative itch and fuel your writing as well. Fast writing might be sloppy writing, but it ends with a result that can be cleaned up and rewritten as many times as necessary. Go at your own pace, but go! Anyone can string words together, but imbuing those words with the power to touch a heart and change a life — that takes work, talent, and skill. And perseverance. Most of all, perseverance. There is no such thing as an instant book. A book can be published quickly, but that is the exception, not the rule. Yes, writing is a solitary act, performed in isolation. But the editing process needs different sets of eyes to help clarify the writer’s vision and meaning. The grouchiest curmudgeons make the best editors; praise feels good, but only criticism helps me improve. My advice to my new writing self would be the mythologist, Joseph Campbell’s, words, Follow your bliss: “Gloria, rather than following publishing trends or dictates of the Christian publishing industry, stay close to your personal truth as it comes to you when you sit down to write. Listen, not to the many publishing ’experts’ about how to craft your message, and how to sneak that message into everything you write. Instead, explore the questions that rise within your soul that will lead you to a more meaningful writing path, one of integrity and passion for the truth that is uniquely yours as a child of God. I would tell my younger self that no great art was ever created without great heart. In the creative process, the heart of the storyteller takes priority over everything else including formulas, word count, social media, and productivity. So, first live well; then write well. Allow God to awaken your own hearts before you ask your art to stir the hearts of others. That will infuse your stories with an eternal spark that transcends you and transforms others. Focus on establishing a relationship with potential readers before you consider writing a book. Blog, share on YouTube, participate in social media, or even have an email newsletter list. Start building your tribe years before writing the first book proposal. Your unique story will draw your tribe to you. The more your readers feel they are part of your story the more likely they are to share with others. The journey to becoming a writer can be daunting. There’s so much to do and learn, and it’s easy to look at other opportunities as distractions, particularly if you’re not totally comfortable doing them. Step out of your comfort zone and stretch yourself. New challenges will grow you as a author and take you farther than you imagined possible. Saying Yes might be the first step in mastering a difficult area of the craft, expanding your writing options, meeting other authors who will be integral to your growth, becoming an international speaker, or selling way more books than you ever thought possible. So when an opportunity presents itself that might seem scary or even impossible, don’t dismiss it outright. Instead, consider what it might offer. Will it teach you a worthwhile skill, give you a chance to try something new, or require you to do something that makes you nervous? If so, it might be a good idea after all. Don’t assume you must follow a predetermined writer’s path, that you will be a novelist or a poet or a playwright or a journalist, and you will concentrate on this form of writing only. Try all forms of writing, don’t pre-type yourself, produce fiction, creative nonfiction, poetry, playscripts, essays, profiles, humor, memoir, and biography. Eventually, the shape of your talent will emerge from how you have tested yourself. I would confirm to my younger self that story always trumps structure. Numerous books tell how to plot and structure a story; however, these can end up derailing the story. It’s tempting to utilize them instead of following the organic process of story shaping, but it’s vital that you let the story inform the direction of your writing. Fear will always drive you back to an outline. Part of the artistic process is learning to channel that fear into creativity and not confine yourself because of it. Write for the love of writing itself, not what writing might afford you. The writers who endure are those who can’t not write, the ones for whom contracts and publication are secondary rewards. Rather than aiming at recognition, they chase understanding. They lean into the struggle, learn to marvel at the untangling of complexities and the transcendence of unforgettable stories. Writing holds the power to transform you and the way you see the world in a way few other human experiences can. This is the real reward, the one that lasts long after the lights go out. The clear, hard, cold fact is that without discipline all the inspiration and rituals, lucky pencils, good views out the window, and all those other things you think you have to have before you write, won’t bring you anything of value. They simply will not sustain you the way discipline will. I’d tell myself that with humor and grace, however, and not a bit sternly. No young writer should be spoken to with the least amount of stern admonition, but rather with enormous encouragement and support. Write daily. But not just for productivity. Write to discover yourself, getting reintroduced to the human being you’re blessed to be — that person indwelled with something of value to offer the world. Don’t publish daily. Rather, publish regularly — fine-tuning what you want to say to the world and how to say it. Bluster, brawling and bravado? No. Kindness, motivation and encouragement. Yes. 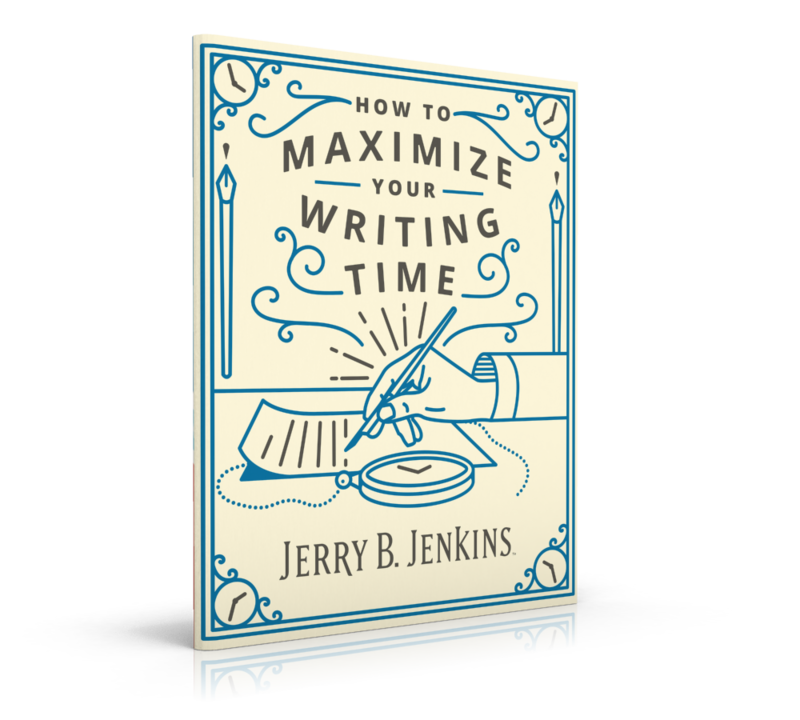 Even as I write this reflection for author friend Jerry Jenkins, I’m reminded why daily writing matters. It’s a bonus tool — helping unearth your brand, purpose, message, values, and audience. Therefore, write. In journals. In letters. On the grocery list taped to your refrigerator. Write something down. Today. You’ll grow as a writer. Even better? You’ll grow as a person. Your readers and your career will thank you. Brandilyn, you’re embarking on a very difficult journey. You’ll have some highs and lots of lows. The writing business/industry will be all over the map, and no matter what you sell, you’re likely to always want more. Remember — this is not about you. Your writing for the Christian market — writing novels that portray God’s grace and power — is for Him. God will do with these books as He chooses. God will use the words you write to change people’s lives for eternity. And that’s something no price tag could ever cover. Follow His will for your writing. Continue to work hard on your craft. Work hard on marketing. Give God your best. Then leave the results to Him. Don’t wait to write until you’re older/wiser/invited to the party. Don’t wait until you have something “important” to say. You are living now, and you’ll never be able to recapture the feeling of being 15, 22, 36…not really. The things that matter to you now, won’t matter in the same way when you’re older, and the things that matter to you when you’re older won’t necessarily be more important. You might know more, but that won’t make you more interesting or important. Write now. Don’t wait, because when you do have something important to say, you won’t want your writing to be rusty. Your writing will change and evolve, and when you get stuck you will seek out the mentors and teachers you need to move you to the next stage. Don’t wait, because the best ideas come when you’re writing. You will never, never run out of ideas, as long as you keep writing. Don’t wait for anyone to tell you to write. Whether or not anyone ever pays you to write, or asks you to contribute, or gives you permission to sneak off and steal an hour or two to tell stories on paper, writing is a part of you. You are more fully yourself when you accept and embrace that. You’re easier to live with when you’re writing, so claim the time you need, and don’t wait. Make it a priority to do the writing, rather than to worry about whether you’ll ever make a career of it. Don’t put the cart before the horse, my girl! Oh, and you’re going to love this thing called the Internet. It’s great to listen to publishers and others, hear their ideas, and modify yours as long as you can retain a sense of ownership so it really remains your book. Never write a book you can’t pour yourself into 100%. Even 90% isn’t enough, because when you hit the rough spots, your heart needs to be totally in it. Having since learned the power of tapping into networks of fellow writers — through genre-based organizations, conferences, Facebook groups, in-person groups, any way you can — my advice would be to find and grow your tribe as early and as well as you’re able. Their support will buoy you at every stage, and through giving as good as you get, you’ll stay connected to the joy of the craft even when you’re feeling the heat beyond the page. Before submitting anything, be sure you’re happy with every word. Become an aggressive, even ferocious self-editor. Click here for my guide on this subject. And here for information on my Writers Guild. In the comments below, tell me which writing tip stood out most to you and why.